Guy Atchley has been a part of entertainment and news media for over 50 years. He began his career as a disc jockey and radio news reporter at the University of Tulsa. After graduation, he began his television career as a news reporter in Tulsa, Miami, Milwaukee, and Oklahoma City. 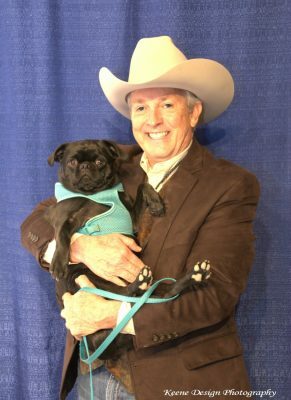 In 1984 he accepted a job as a news anchor for KGUN TV in Tucson and spent the next 34 years informing Southern Arizona about local events and worldwide news. Since graduating from the University of Tulsa in 1972 with a Bachelor of Arts Degree in Radio/Television Speech, Atchley received more than twenty first-place awards for excellence in reporting. He received three consecutive Associated Press awards for Best General Reporting in the state of Oklahoma. During Guy’s Tucson tenure, the AP honored KGUN 9 News with the award for Best Newscast in Southern Arizona seven times. In 1992 Atchley swept the Arizona AP awards by winning three first-place honors including: Best Serious Feature, Best Light Feature, and Best General Reporting in the State. Atchley also was honored for his reports on living conditions in China in the documentary “China: 1987.” In October of 1993, Guy traveled to the Middle East for a documentary on Israel’s quest for peace. That documentary, plus Guy’s news reports and speeches to expose intolerance and bigotry, earned him the 1994 Human Relations Award presented by the Jewish Community Relations Council. Besides reporting from several foreign countries, Guy also traveled the United States. He has covered space shuttle launches in Florida, racial tension in the South, and immigration policies at the U.S./Mexico border. On Veterans Day of 1994, Guy reported from the Vietnam Veterans Memorial in Washington, D.C.
For more than two decades, Guy spent each Labor Day as Tucson host for the Jerry Lewis Muscular Dystrophy Telethon. In 1991 he emceed the Tucson Welcome Home Celebration for Gulf War veterans at Arizona Stadium. 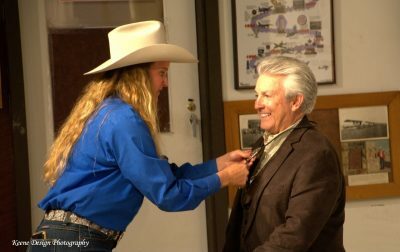 You may have seen Guy’s cameos in several TV movies: “Jericho Fever,” the remake of “Vanishing Point,” and the independent films “Runnin’ at Midnite” and “Dark Was the Night.” Just in case you’re wondering, Atchley played the role of a news reporter in each film. Guy Atchley is now retired after 34 years in Tucson at KGUN TV. However, he’s still having fun in broadcasting, playing oldies at KGVY Radio in Green Valley. He also is an accomplished amateur photographer and travels Arizona to document the beauty of the Grand Canyon State. 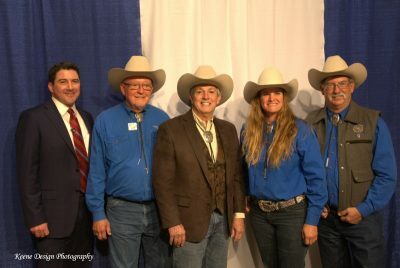 In fact, Guy has received press credentials for the Rodeo Parade for the last few years and shares photos on his Facebook page. 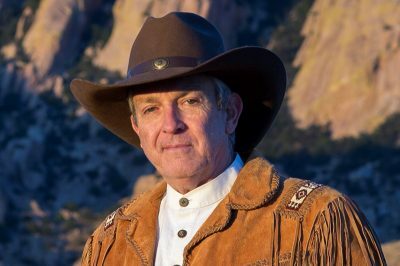 The Tucson Rodeo Parade Committee is proud to have Guy Atchley as the Grand Marshal of the 2019 Tucson Rodeo Parade.